A car was pulled from Carter Lake early Tuesday morning, but there were no people in the car and no injuries. 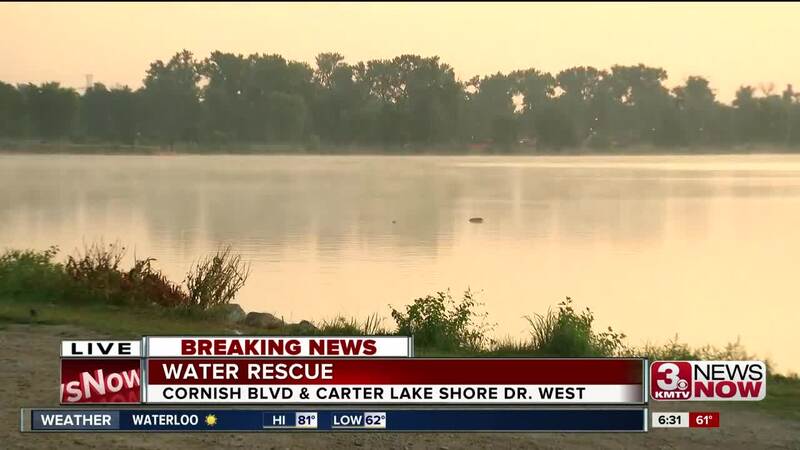 Around 4 a.m., emergency crews responded to a water rescue call near Cornish Boulevard and Carter Lake Shore Drive West, on the Nebraska side of the lake. Officers say they spotted tire tracks going into the water and a rescue team was called in during a recovery effort. They used sonar and dropped a buoy where the SUV was submerged before a dive team moved in.